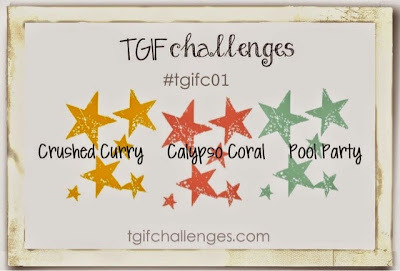 So I came across a new blog challenge TGIF Challengeswhilst looking at one of the designers who is on the team Kaitlyn, I saw the colours being used & knew i wanted to take part. 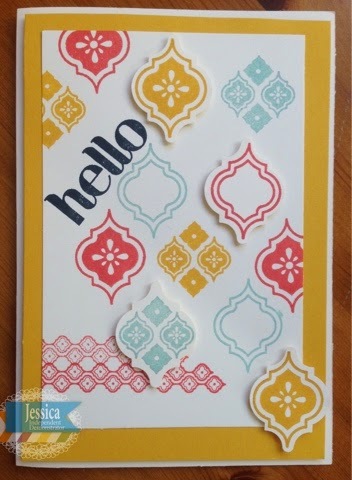 Another card with Mosaic Madness! I was okay with it retiring. Now after seeing so many great cards with this set for the challenge I don't want it to leave! 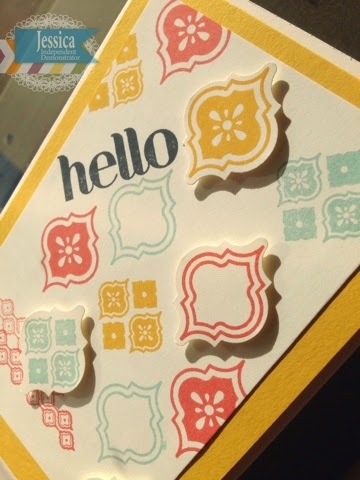 Thanks for the shout out and I am so glad you decided to join the challenge! Ack I have to agree with Kaitlyn I was totally fine with Mosaic Madness riding off in to the sunset but now..... Sigh. Lol! Thank you for playing along with this weeks TGIF Challenge! I totally agree with Kaitlyn and Mercedes! You've really made Mosaic Madness shine! Thanks for playing along with us at TGIF!